Apple is planning two larger iPhone models for 2014, rumored to have displays around 4.7 inches and 5.7 inches. Fans of iPhone have been requesting a lager screen size for some time now, always being left disappointed with every next gen release. It looks like Apple are finally listening to feedback from consumers, regardless of the late Steve Jobs mentioning that the smaller screen was ideal for single handed single thumb use. 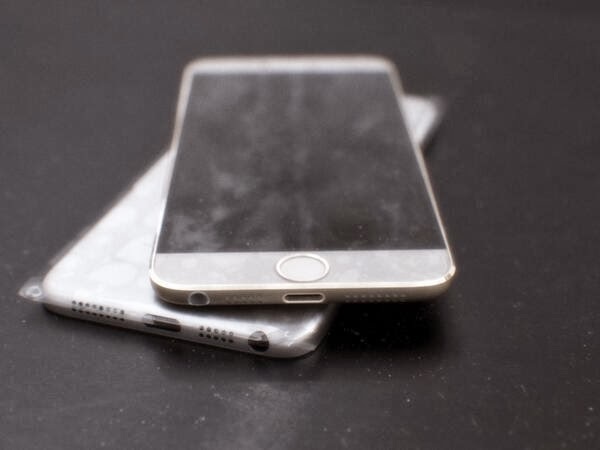 We like the image of the iPhone 6 concept/fake circulating around the Internet at the moment. The thin non-existent bezels on the sides show how Apple can increase the screen size while still keeping a compact handset that fits in the hand.